Partnerships for Forests supported the development of a joint framework for action to end deforestation and forest degradation related to global cocoa production while improving the livelihoods of smallholder farmers working in the cocoa supply chain. Cocoa is a key driver of deforestation and accounts for 25 percent and 15 percent of deforestation in Côte d’Ivoire and Ghana respectively — the world’s largest cocoa producing nations. To address this, in March 2017, at a meeting hosted by His Royal Highness the Prince of Wales, 12 of the world’s leading cocoa and chocolate companies agreed to an industry Statement of Intent committing to work in partnership with governments, companies, civil society and other stakeholders, to end deforestation and forest degradation in the global cocoa supply chain. Signatories to the Statement of Intent committed to develop a joint public-private Framework for Action to address deforestation through wide consultative processes, signed by government and industry, and presented at COP23 in November 2017. 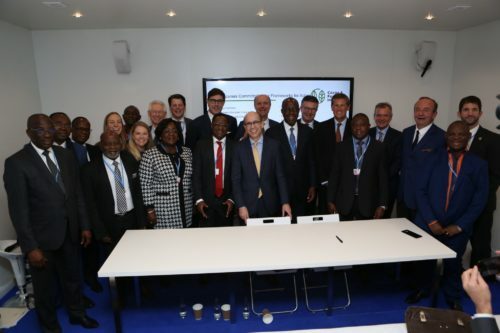 This is the first ever collective industry commitment aimed at bringing deforestation and forest degradation within the global cocoa supply chain to an end. A total of 35 cocoa and chocolate companies have now signed up to the initiative. promote regional harmony, learning, and monitoring to support the regional platform for the cocoa sector. The Frameworks for Action were agreed on 16 November 2017 and launched at the UNFCCC COP23 in Bonn. The process brought together more than 500 stakeholders, including chocolate and cocoa companies, high-level government officials, development partners, environmental and civil society organisations, as well as farmer associations. Signatories and organising parties just after the signing ceremony in Bonn at COP23. Photograph: IDH. In July, industry players defined public-private actions to halt deforestation and forest degradation by 2020. These include establishing a unified traceability system, implementing agroforestry in cocoa production and creating of a public-private fund for forest preservation. Over two years of P4F support, the CFI has expanded from the original 12 private sector signatories to 35. 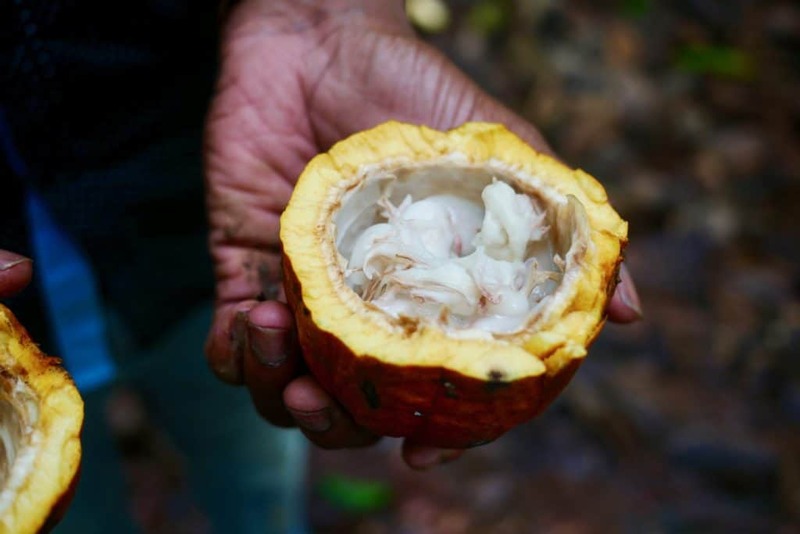 With their backing, the national governments of Ghana and Côte d’Ivoire each launched implementation plans in August 2018, aimed at providing the necessary enabling environment for the cocoa sector players to positively contribute to the preservation of forests in both countries. 35 CFI participating companies are now finalising their detailed individual action plans. 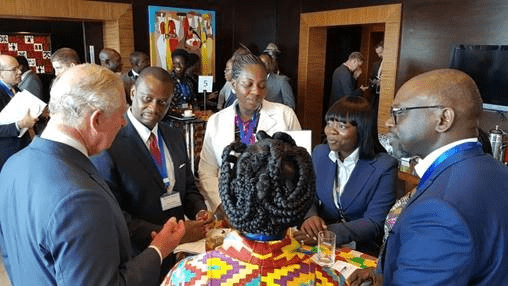 On 5 November, The Prince of Wales met senior government representatives from Ghana and Côte d’Ivoire and international business leaders to discuss sustainable practice in the cocoa industry and key environmental issues. Prince Charles meets global business leaders from the cocoa and chocolate industry members of CFI. With concerted efforts from all sector agents, private sector, development partners and cocoa farmers, the CFI is a valuable opportunity to eliminate the deforestation footprint in the cocoa supply chain and improve the livelihoods of cocoa farmers. Click here for more information about the Cocoa and Forests Initiative and to access the Frameworks for Action.